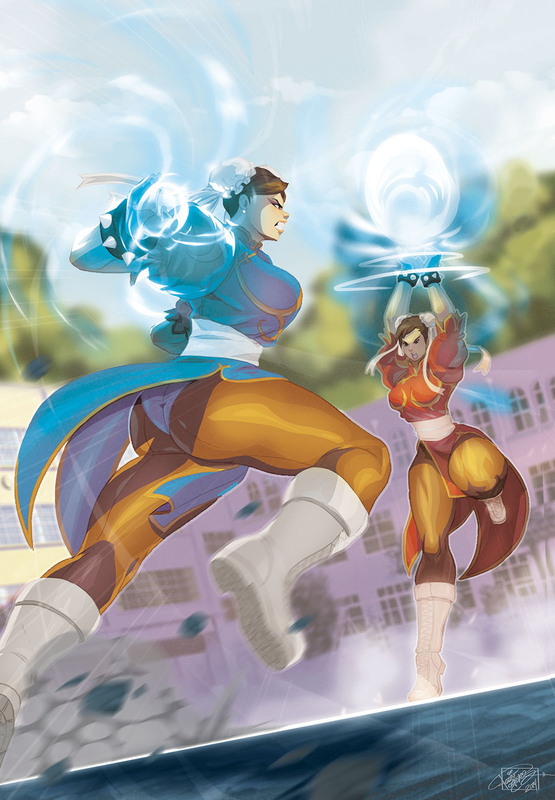 Chun Li vs. Chun Li..yup..this is a Mirror Match Fan Art! Chun Li vs. Chun Li Fan Art by Tovio Rogers! who commissioned Tovio with this idea. I think this could become a pretty fun future art contest on FGE. Fighting game characters in Mirror Matches as the theme ..can’t wait for Scorpion throwing his spear against himself.